Another day, another hidden ID restaurant. 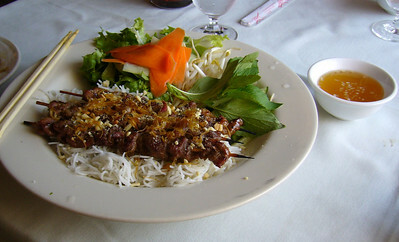 Today's trek took us to the back side of the Viet Wah grocery store to Saigon Bistro. Apparently this Saigon Bistro is in no way related to the other Saigon Bistro in the Uwajimaya food court. 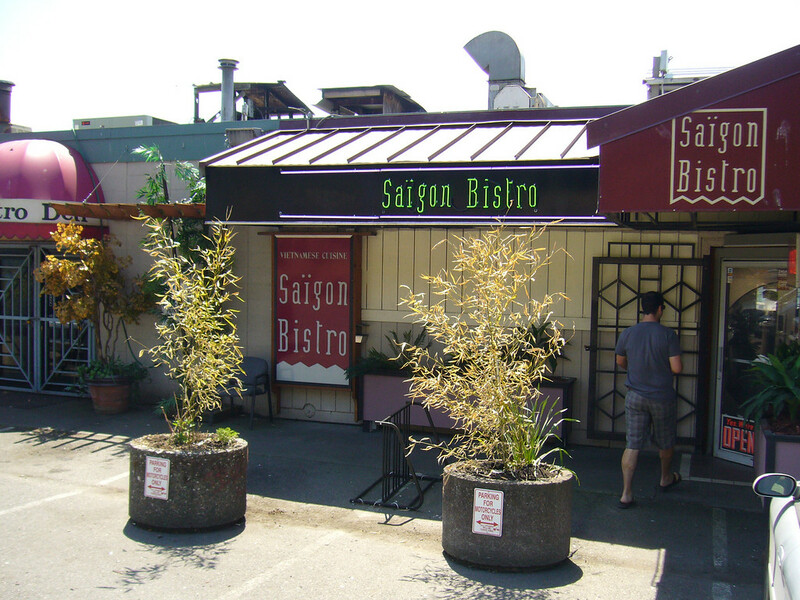 Once we navigated the parking lot and swung around Viet Wah's loading bay and dumpsters we found the somewhat quaint entrance to today's lunch spot. Where is the owner/chef from? : Saigon? 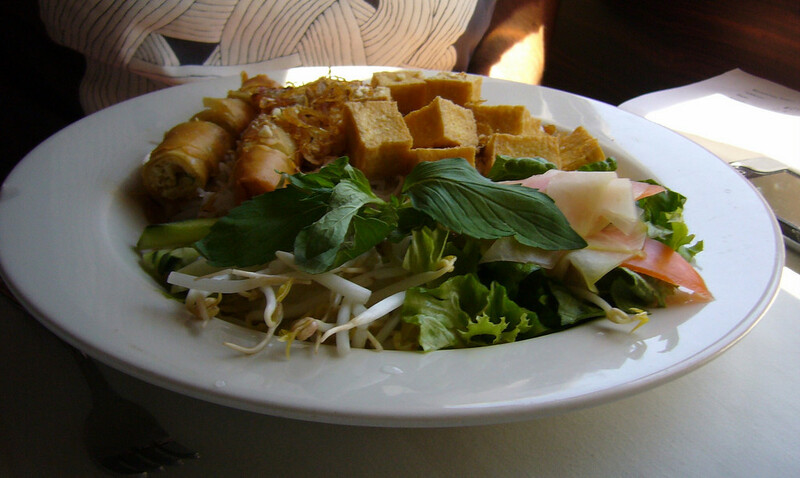 It's always so hard when you put a restaurant head-to-head with Pho Bac. 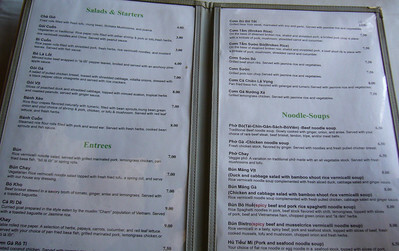 But I ordered the Bun noodles knowing that that was exactly what I was doing to this restaurant. We should really start with the approach to this restaurant. Unless you know where you're going, you're going to have a tough time finding the front door. Why? Because it doesn't actually have a front door, the restaurant's door is actually on the back of the building. And as you're searching for it, you may notice some not-so-nice aromas coming from some nearby dumpsters. Although, as soon as you walk in, you're presented with a quite nice looking interior. Once you sit down and figure out what you want, it'll take a few minutes for them to take your order... and in this time you'll notice that the interior isn't nice, it's just almost nice. Lots of cut corners. Anyway, the Bun noodles were good. Nothing special. The appetizer was good. Nothing special. 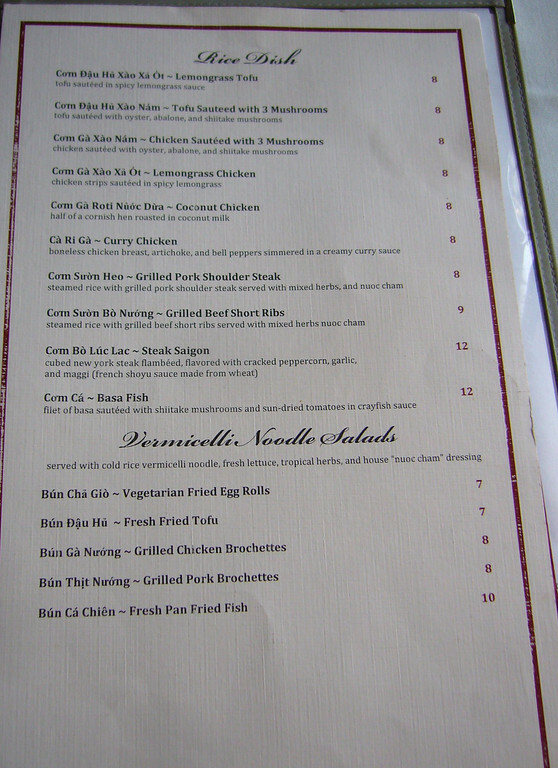 With prices higher than Pho Bac, the only reason you'd come here is if you were skittish about how the interior of a restaurant looked (and hence, didn't want to go to Pho Bac). The first problem with this place is it's hard to find even if you're looking for it. 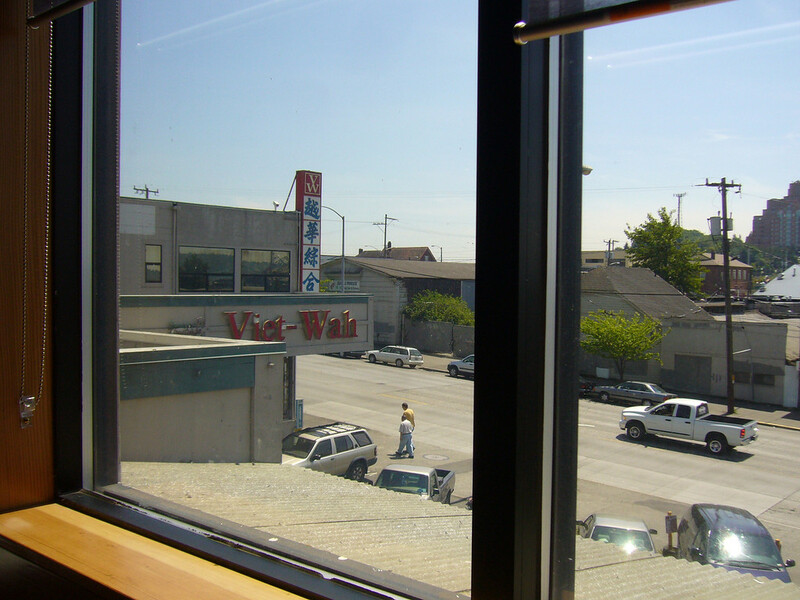 Find the Viet Wah sign, turn into the parking lot, head around back. You'll see the entrance. Inside this place is fairly nice. 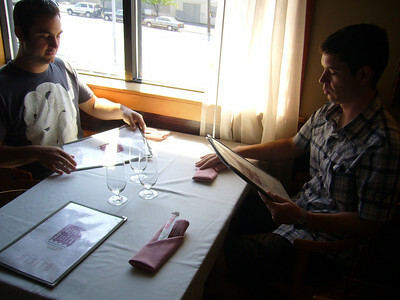 White tablecloths abound; we chose a nice table by the window. 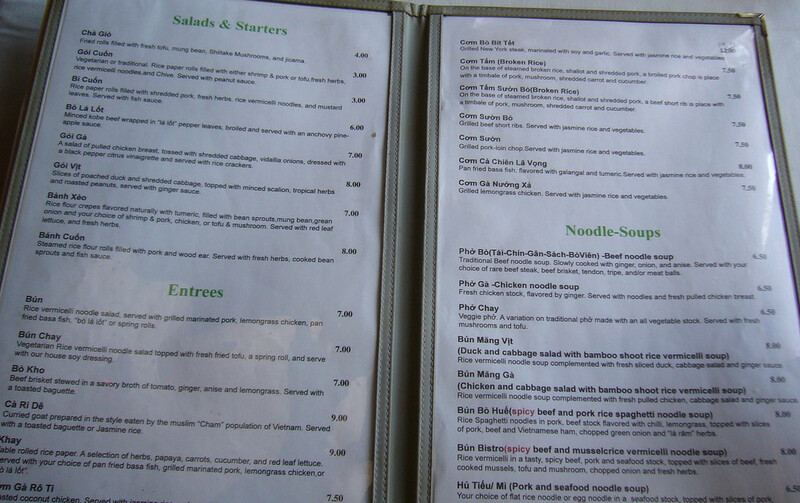 The menu, though inconsistent, has a lot of good choices. 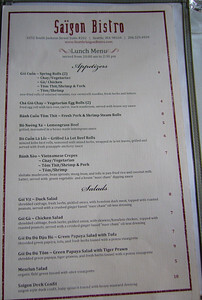 I really wanted Bun, but their lemongrass chicken also looked good, so I asked if they could do a Bun with Lemongrass. Certainly they said. We split the Bo la lot and they were delicious. 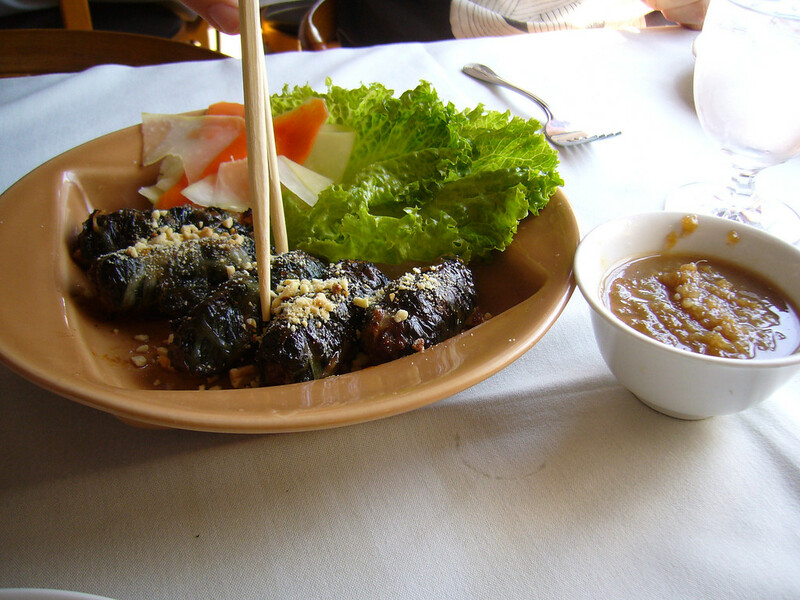 I had just eaten at Monsoon East, whose waiter prided them on their Bo La Lot, and these were as good if not better. The main course was great. 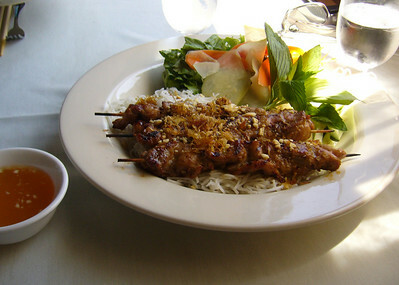 The Lemongrass chicken had a nice flavor. There were a good mix of greens, veggies, noodles, and meat. For $7, the price compares favorably to nearby Pho Bac. The service was average, but I liked the atmosphere. This may make a good dinner place. I'll definitely come back at some point. 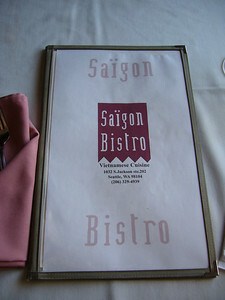 Saigon Bistro is attempting to be in the fine dining category and fails. They have granite along the counters and copper accents above the kitchen, but the tables and chairs are old and mismatched. 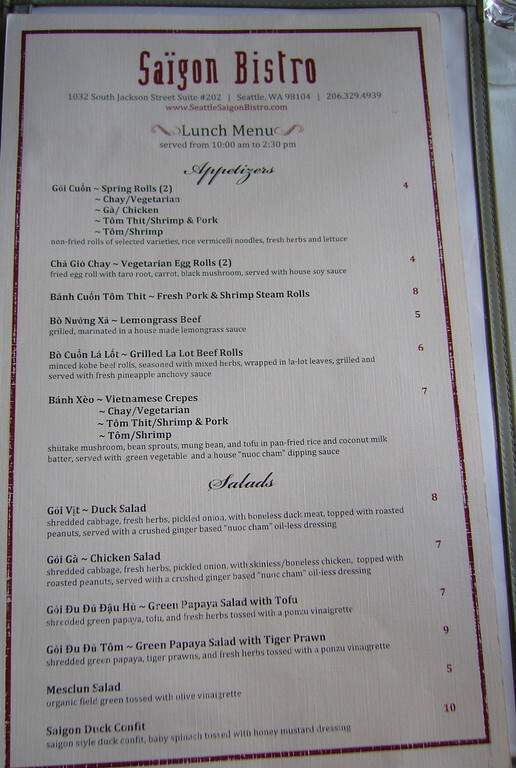 I ordered the BBQ Pork Bun noodles and we shared Grilled La Lot Leaf Wrapped Beef appetizer. The beef was tough and chewy. I know gristly and chewy is expected to some degree, but I have my limits. 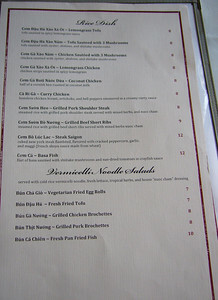 The BBQ Pork Bun noodles was presented nicely but the pork was dry and gristly. Although the price was reasonable, for the same price I am assured a better meal at either Pho Bak or Green Leaf. Finally made it to the other Saigon Bistro, eh? Since last June, management has changed though not much else has. 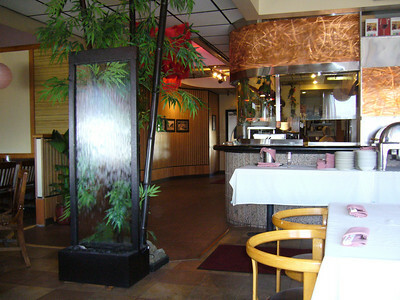 The art could use a little work and their indoor waterfall pales in comparison to its neighbor, Tamarind Tree. I like looking out the windows and when you visit on a slow day, service is great. I agree that there are better Vietnamese restaurants in the area - Green Leaf is one of my favorites - but this one would be good to throw a party since the place is huge! Good review overall. Thanks! ...and for you guys, there's some added fun in the bathroom. the urinal in the men's bathroom apparently doens't have running water -- instead they fill the urinal with a large pile of ice! Melt away!